fan of Tiny Owl Books. 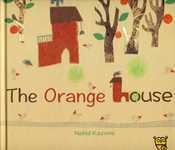 I first came across Tiny Owl Books when UKLA Literacy 4 – 11 sent me a copy of The Orange House to review earlier this year. In a strange turn of events, this was also at the moment that I was in discussions with Outside In World, an organisation which promotes and celebrates global children’s literature and books in translation, about a particular publisher they were interested in writing an article about for their website – which turned out to be one and the same. It felt that the stars were aligning and placing these beautiful books in my path, and I was delighted when Tiny Owl sent me a selection of their current published collection to review. My interest in global children’s literature has been developing gradually, and it has been building momentum over the last few years’ professional work in which I have seen first-hand the impact and value of books on children’s wellbeing, and on their ability to empathise and identify with the experiences of others. This process, in which they begin to feel not only an important member of their school and community, but also recognise their voice and their place as a global citizen, has a tremendous impact on how they approach life both in and outside of school. This is particularly effective when combining the use of quality children’s books with a teaching practice such as Philosophy for Children which encourages children to think critically, creatively, collaboratively and caringly. It helps children, particularly those facing disadvantage, to become lifelong learners (see http://www.sapere.org.uk for more information). The value of this sort of approach to texts in helping develop children’s love of reading is evident in the findings of projects such as ‘Power of Reading’ run by the Centre for Literacy in Primary Education in which one of their top 10 recommendations for creating a lifelong love of reading in children is in ‘creating a community of readers with opportunities to share responses and opinions’. Books that reflect a broad range of voices from across the globe are well placed to aid such enquiry. When I first began work for this brief article, reflecting on global children’s literature and the discovery of Tiny Owls’ Books within this arena, I was also acutely aware of how timely an inclusive approach to literature is during a particularly historic time in which the UK took the vote to leave the EU. On the morning of the vote, a vast array of feelings bubbled up to the surface but with one fairly common theme - trepidation as we step into the unknown. Having spent time as a primary teacher, and later as a project coordinator on an education project that sought to raise gender awareness in primary schools, I have seen first-hand the impact that picture books can have on children’s outlook of the world and on their place in it. There is an inherent value to books which truly represent the wonderful diversity in the world but also the common themes that bind us: love, courage, childhood, loss and many more which are fundamental to what it means to be human. As Jonathan Rupin, Founder of the English PEN Translated Literature Book Club puts it ‘Brexit has brought our relationships with other nations to the forefront of public debate, so perhaps some readers might seek to broaden their horizons through reading’; there is no reason why this same inquisitive nature will not be equally present in children and young people too. Over two years ago I gave birth to my daughter and, since then, I have been fortunate to have been bought, sent and passed on a large selection of books for her to savour and delight in. However, it became evident over time that the books we had in our collection were predominantly representative of one voice. The unconscious bias in us all tends to guide our hands to selecting books that reaffirm or embody the life that we know and though this may be no bad thing when combined with other views, in isolation it can limit children’s exposure to the rich diversity in the world and to the beauty and excitement of the unknown. 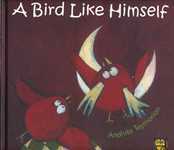 Tiny Owl Books is an independent publishing company, committed to producing quality books for children. Their goal is to ‘introduce the cream of the crop of global children’s literature, contemporary and old, to the English speaking audience.’ Founded in 2012 by Delaram Ghanimifard and her husband in response to an identified gap in the market for picture books ‘appreciating cultural diversity’ and bridging the gap ‘between the reality of society and the way it was reflected in books for children’. Tiny Owl started translating Persian stories into English and bringing them to the UK market in 2015, however it was never their intention to solely publish books just from Iran, merely as a starting point for the authors and illustrators that they knew best from their own childhood. Endorsed by the Guardian in that first year of publishing, their books have been recognised for being beautiful works of art in their own right and bringing a whole new audience (young and old) to appreciate the value of illustrated books – or ‘picture books’. The messages within them range from old and well-loved fables, to contemporary stories which offer a fresh perspective on common themes. As well as a wonderful addition to a home collection, the books make a fantastic resource for schools and act as an excellent stimulus for many lessons on personal, social and emotional development and philosophical enquiry. Questions about morality, and what it means to be a global citizen can be deftly and subtly drawn out by these books and within my reviews I have tried to highlight the areas that would best lend themselves to further discussion. Many of the stories echo fables that are familiar in Britain, as these are stories that have stood the test of time and appeared again and again across the ages and continents in slightly different guises. This would make a fascinating compare and contrast exercise for children, identifying the common themes and messages in the books and why it is that such similar stories evolve across the globe. 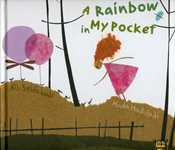 All the picture books by Tiny Owl that I have reviewed so far have been translated by Azita Rassi. Azita was interviewed by Shahrvand magazine in Persian and it was translated into English and published on the Tiny Owl website and the full article can be found here. In this interview, she speaks of the ‘high cultural as well as physical quality’ of Tiny Owl’s books which ensures their appeal to children but also, importantly, it attracts ‘those buyers of children’s books who are not familiar with Iranian specimens’ and so introduces these stories to a new audience. Rassi also speaks about the care with which Tiny Owl choose accompanying illustrations for their publications, and the importance of this in conveying the stories in a way that translation alone might not be able to fully capture. This interview is well worth reading for a sense of the challenges which translators face in keeping ‘the impact of the book the same…the ambiance the same’ and that this can require changes in literal interpretation so that the tone is true to the original, even if the words are not exact translations. Picture books provide a familiar and comforting space where children and adults alike can question, absorb and learn from the experiences of others. The exquisite illustrations that are given as much validity and import for Tiny Owls publications as the written word help ensure that the books are accessible and enjoyed by a wide range of learners. From my experience working with books that have been translated, there is also often a delicate poetry to the verse as translators have taken great care to transfer both literal and cultural meaning without changing the flow of the story. As Terence Portelli, lecturer in the Faculty of Education at the University of Malta, puts it ‘The translator is in a privileged position…Through training, practice, and reflection, the translator develops an insight into the colours, shades and hues of another language and culture, thus developing a heightened sensibility to the differences that connect or separate languages and cultures’. This ‘tactful, imperceptible intervention’ can free up children’s minds to the notion of the ‘correct’ way of writing, as the form may be different to what they are used to. This could liberate children to write more ‘creatively’ and true to their own voice and opens up some wonderful opportunities for creative writing exercises in school and at home. At the London Book Fair earlier this year I picked up a copy of Tangerine Sky: Poems from Malta with a forward ‘On words, literature and translation’ by Terence Portelli. In it, he makes the assertion that ‘alongside gastronomy, music and art, literature is perhaps the cultural manifestation dearest to a community, most expedient for border-crossing and conducive to intercultural dialogue’ and this notion that through the work of a translator we are able to glimpse another world view from our own is, to me, an extremely exciting and vital one. During my research for this article I stumbled across a TED Ex talk by Hugh Evans (co-founder of Global Poverty Project) on what it means to be a global citizen (you can access the talk here ). In it, he affirms his belief that ‘those who look beyond our borders are on the rig ht side of history’. 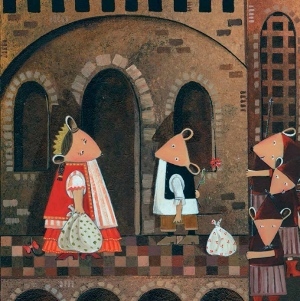 Children’s books in translation offer the reader an opportunity to view the world through the eyes of others in implicit and subtle ways which can foster more understanding of what unites us than the study of a more explicit fact-based book may do (though these no doubt have their place too). No matter whether they have ever had the chance to physically move beyond the borders of their own country of birth, children can see the world through a global lens. In the piece ‘Translating Childrens Books: Difficulties and Reluctances’ written for The Artiface (an online magazine that covers a wide spectrum of art forms), Rachel Elfassy Bitoun states that ‘it is essential that a child reads translations in order to develop and build their own moral thinking and embrace diversity and tolerance’. This is further supported by evidence found from the ‘Doors to the World’ project, a US based partnership of educators dedicated to making global children’s picture books and resources available to early years’ teachers. From their work, they believe that ‘books, if critically chosen and read, can serve as doors to cultural understanding in the classroom’ and their guidelines for integrating global children’s literature into classroom learning experiences emphasise that ‘understanding how to read children’s literature is as important as knowing what to read’ and that ‘critical engagement with global children’s literature offers glimpses of the social construction of culture’. The first ever guide to children’s books in translation ‘Outside in’, edited by Deborah Hallford and Edgardo Zaghini and published by Milet (2005), had a foreword by author Phillip Pulman who talked about the way that books become friends and the right book can provide ‘a story and some characters who will make an impression that never leaves them’. The production of this guide and response to it led to the setting up of Outside In World in 2007. Their first flagship project in 2009 ‘Reading Round the World’ aimed to respond to children’s lack of exposure to books from other countries by delivering a programme of innovative, fun and highly interactive events which celebrated the work of 15 international authors and illustrators with 43 events across England. Author Kate Dicamillo has found in her experience that what literature does for children is ‘That thing of telling the truth and making the truth bearable. One truth? We can love each other. Another truth? It’s hard work’. There are many children’s picture books which manage to be absolutely relevant for children across the age phases of primary and even into secondary, particularly when used in circle time, or a philosophy for children session in which a facilitator can help draw out discussion around some challenging and emotive subject matter. Some of the first influences on children’s thoughts about the world and their place in it are in their exposure to picture books, and there is a growing appreciation of the value of reading, literacy and art for social change with growing investment in this area. Within Wales, for example, Regional Arts and Education Networks have been launched in order to ‘increase and improve arts experiences and opportunities in schools’ and the International Board of Books for Young People is next month holding a conference which explores the ways in which picture books contribute to the development of the child and which will look in detail at the role of the international book market in this. Publishers like Tiny Owl Books can help the next generation feel part of a global society which is richer for its diversity whilst also recognising and celebrating that which unites us. See the full list of my reviews for the ‘Tiny Owl Books’ which I have read so far or you can download the pdf below. If you would like any further information about how you can use these books in your own classroom or home setting, then please do get in touch. 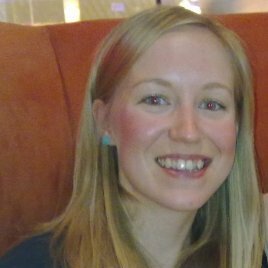 Laura Davies has over ten years’ experience working in the charitable and education sectors within both senior fundraising and professional teaching capacities. She is currently a part-time Youth Worker at Full Circle Education, a not-for-profit organisation where Laura delivers a range of workshops which aim to provide dynamic solutions to inspire and engage children and young people in education. Laura is particularly interested in how literature can be used to aid wellbeing, foster philosophical enquiry and promote a sense of community and global citizenship. This story will be familiar to many young readers as it also features amongst Aesop’s fables. The exact origins of tales like this are often hard to pinpoint, as they evoke such strong and constant themes irrespective of time and place and therefore crop up in much global folklore and mythology. This particular translation was first published in Persian in 2012 and was published in English by Tiny Owl in 2015. 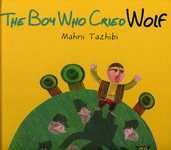 The illustrations are bright and will appeal to a young audience, with references on each page which relate directly to the text (for example the image of the wolf in the young boy’s mind) which will help readers of all abilities to access this story. The effect of the imagery is like that of a 3D pop-up and so there would be amble opportunity to extend to an arts lesson and to recreate some of the illustrations within the story. The tale has stood the test of time thanks to its classic morality issue of what may happen if we tell too many lies – that those around us may stop trusting what we say and therefore reacting in the ways we expect. This is a great point for discussion, as well as recognising the commonality in the themes within the story that have ensured it has cropped up again and again from cultures across the world. There is also an interesting point that could be raised with children about the impact of the word ‘wolf’ throughout the story. As the boy uses this word repeatedly, it loses its original ‘meaning’ – for older years this could be followed up with a look at other words where this has happened and how language evolves over time according to context and use. 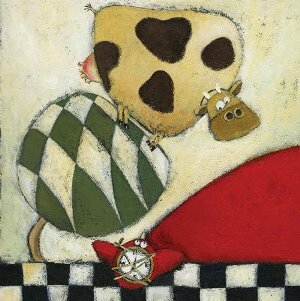 This is a story about a mouse called Mr Koochi who thinks that he knows just what he wants and how to get it. He wants a house, and builds himself a home; he wants some food, so plants himself some wheat and makes bread; finally, he decides he wants a wife – and dreams of what it would be like to marry the Mouse King’s daughter. The reader joins Mr Koochi as he journeys to the palace and seeks the hand of the Mouse princess. This story deftly teaches the importance of respecting others and the value of true love and friendship – that true beauty comes from the way we treat others, not the way we look. 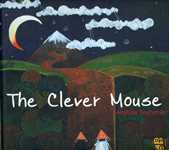 There is much for children to engage with, the characterful illustrations paired with the story are a perfect accompaniment and readers will enjoy following the adventures of this little mouse. This story feels very familiar, and is much like a traditional fable with a clear moral message that will prompt lots of further discussion about treating others as you would yourself wish to be treated. Though there is quite a lot of text, it would be a good book for whole-class reading to support less confident readers. Based on a traditional fable by Rumi, a 13th century Persian mystic and poet, this is a story that is also very evocative of the later Hans Christian Anderson tales. This hints at the timelessness of this tale, one that has echoes in fables and mythical tales through the ages. 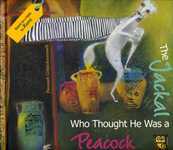 We follow our jackal in his desperate quest to be a peacock. He tries to disguise himself in the beautiful colours he associates with the vibrancy of the peacock and each time he fails to convince the other jackals of his new form he is renewed with a deeper desire and passion to achieve his transformation. At times appearing foolish, the Jackal is scorned by the other animals in the pursuit of his dream – but this does not stop him from ever more creative and feverish attempts. The ending is wonderfully nuanced, and remains open for lots of interpretation. He doesn’t seem to reach a sense of contentment at the end, still hoping that he might one day become a peacock but being equally drawn back to his jackal friends when they call – is he happier now that he has come to accept he won’t be a jackal? Has he really given up hope or is that just what he’s told his friends? It is a great stimulus to look at ideas of acceptance, difference and the pursuit of dreams – however fanciful they might appear. The illustrations are beautiful and yet evocative of the slightly dark nature of this tale, hinting at something deeper than the first layer of story might have us believe. Though interspersed with flashes of bright and bold colour, as the jackal plays with his form, there is a grey hue that seems to envelop the pictures suggesting perhaps a feeling of sadness, with shadows falling on the last page depicting dusk and the bright sun’s retreat into the dark. Reading this book for the first time was an absolute delight. It is a real treasure and deserves and invites much re-reading as it is a wonderfully intricate story with a huge amount of inspiring content for philosophical enquiry. It follows the journey of Little Black Fish who ‘may be small, but has big questions and a determination to find the answers to them.’ He bravely chooses to leave the comfort of the known behind him, and venture ‘over the edge of the pool’ into the enticingly strange and unfamiliar. From leaving his home, he discovers new creatures and environments at every twist and turn – and his journey leads the reader beautifully through a watery lifecycle, from pool to stream to river to the vast and seemingly infinite sea. There is ample scope throughout the book to address the idea of celebrating diversity and recognising that difference is part of what makes the world so rich and varied. Throughout the story it really invites questions which lie at the heart of so much political debate, which is perhaps now more than ever particularly relevant. The opportunity to invite and open dialogue with children around such important subjects seems essential if we are to move forward to a more inclusive and globally connected world. The ability to do that in a book that is also fun, humorous, colourful and at its heart a simple and timeless story is a wonderful one. 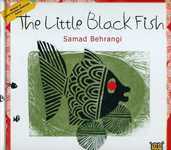 The Little Black Fish is so much to say on the writing alone, but the illustrations also form a vital and beautifully harmonious pairing with this story. Bold, vivid colours will greatly appeal to a young audience and the simplicity of a restricted palate helps to elevate the content of the story even further, leaving so much open to interpretation and imagination. The graphic prints are also very accessible for young children and it would be a great follow-on activity to recreate some of these bright images with the use of potato printing and textiles. It is one of Iran’s most famous children’s books, and it is clear to see why. It deserves to be shared widely as children across the globe can get huge pleasure from delving into this deep story and deftly unpicking the questions and prompts to answers contained within. Please buy this book! 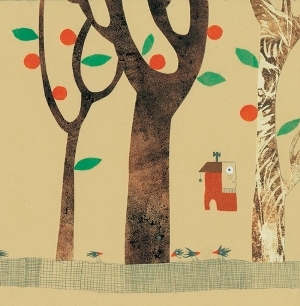 The Orange House by author and illustrator Nahid Kazemi is a delightful book. Kazemi used to hand-make her books as a child, and this tactile and authentic feel is evident in this beautifully designed book. The illustrations are almost ‘childlike’ in their imagery, which would make it particularly appealing to a young audience and a great stimulus for art and geography lessons. A tale of change and the passing of time, this story follows the journey of the small Orange House which ‘stands at the end of the alley, feeling sad and left out as all the nearby tall buildings admire another new building being built’. It is a lyrically told and sympathetic portrayal of new versus old and how we can incorporate and remain sympathetic to our cultural heritage whilst keeping up with the needs of a fast-paced and growing world. A wonderful introduction to children’s literature from outside the UK, this book could be used across the age phases. With early years it is a great and unique addition to a theme on ‘homes’ or ‘towns and cities’, yet with older years it could be used as the basis for a Philosophy for Children stimulus or circle time – delving deeper into the subtler themes within the book such as friendship, generational change and a sense of belonging. I would highly recommend this book as a purchase for any school library. The Parrot and the Merchant has, to me, the feel of Hans Christian Anderson’s ‘The Emperor’s New Clothes’ as it depicts the foolishness of vanity. We follow the story of Mah Jahan, a wealthy Persian merchant (refreshingly a woman rather than the male merchant often depicted in this context) who treasures the beautiful birds she collects on her travels. Though she believes she is showering them with love by offering gifts from her journeys afar, the reader is guided to the true meaning of love and the value of choice to all living things. We follow the journey of the parrot as he cleverly guides the hand of his mistress to lead him ultimately to the greatest gift of all – freedom and flight. 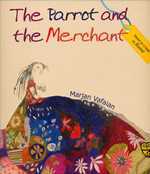 The illustrations add wonderful flourishes to the story, beautifully depicting the wealth of the merchant in all her colourful finery. 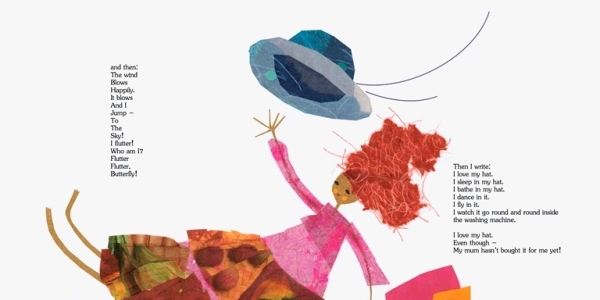 She is almost made immobile by her riches in the bulk of the story – a really clever addition to the story which would be interesting to reflect on with children. Is she actually the one who is trapped by her own perceptions and materialistic values? When she believes the parrot that she sought advice from is dead, she is depicted in hues of grey and dusky cream and it is the treasured bird who remains truly bright. This is a clue to the story ahead, and would be lovely to share with children after the first reading if it is not something they pick out themselves, what do they think this symbolises in the story? 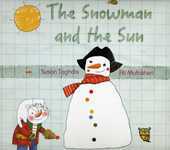 This is a lovely book about what happens to a snowman when he melts – where does he go, what does he become? The story prompts discussion around change and the impact of seasons on our natural environment and our place in it. It also offers opportunity for deeper reflection on the different stages in our life, how there can be ebbs and flows within our relationships with each other and that sometimes change is an inevitable but natural part of this process which can be embraced and enjoyed. The illustrations are bright and cheerful, and will help to assist more visual learners as they are a quite literal reflection of the story in the text. It is also a great introduction to the water cycle in a really fun and innovative way, so could easily be used in a geography lesson to help show the various forms that water takes on its life cycle. Lots of opportunity for cross-curricula learning, particularly with the early years as the text is well spaced and with a rhythm that makes it quite accessible even for less confident readers. 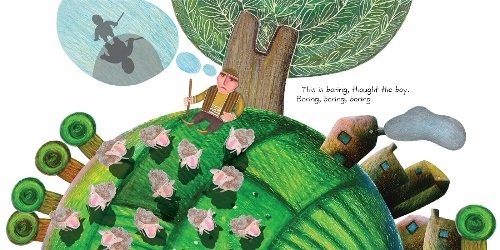 This story follows a young girl Tahmineh as she minds her tribe’s sheep on the bank of the river. One day, she hears the lovely sound of a bird singing next to her, and she believes it is the most beautiful sound she has ever heard. 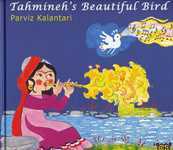 As we follow Tahmineh in her day-to-day activities, we watch as she thinks more and more on the sound she heard and wishes desperately to find and keep that enchanting bird with its melodic song. Tahmineh soon discovers that the best way to keep the feeling of the birdsong alive is to capture it in a woven chanteh, not to trap the bird as her father tells her that ‘a wild bird would be unhappy to be trapped, and an unhappy bird won’t sing’. We learn much from Tahmineh as she finds her own way of treasuring and celebrating the gift of song that she has heard, and interlaced throughout this tale is a lovely depiction of this young girl’s daily life which is a familiar pattern of childhood – attending school; helping with family chores; family trips together. I also loved the image of the baby (presumably a younger brother or sister) being carried in a wrap – an image we don’t often see published in children’s books in the UK (although carrying babies in this way is becoming more popular). There are some really interesting universal themes to explore here (‘if you love something, set it free’) as well as images which could provoke valuable discussion on the similarities between the lives of the Qashqai tribespeople in Iran and those who tended to sheep historically and currently in the UK and the skills shared by both (the weaving and dying of wool, for example). 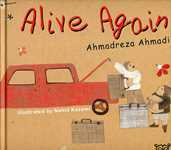 There's lots of potential for tangible craft activities as a follow up to this story, and reflection on some of the widely celebrated paintings by the Iranian artist Parviz Kalantari as well as his bright and attractive illustrations within this book. I really loved this book and found that the more I read it the more I appreciated the beauty in its simplicity. A child is given a crayon by their mother, and on each page of the book she uses a different colour to replace a negative feeling with something positive -from darkness to light, desert to roses, hunger to wheat and many more. The story is almost more closely aligned to poetry and verse, with an elegance to the way that it has been stripped back to reveal a clarity and focus to each page. 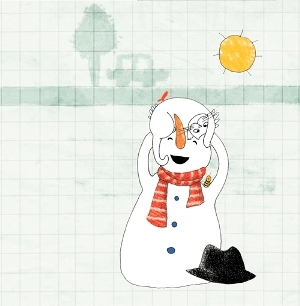 As with so many of Tiny Owl’s books, the illustrations perfectly match the writing. 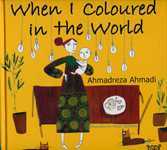 In When I Coloured in the World, each page is a splash of vivid colour which reflects the crayon being used in the text, and the pictures are delicate and vibrant, with the use of pencil and fine drawing giving an almost child-like quality. There is more to be interpreted from the images too – adding layers to the writing and opportunities for further discussion and enjoyment of the book. A great stimulus for art lessons combined with some poetry as each page follows a similar structure which would be easy to replicate. A lovely book with much to offer. This is a colourful and amusing tale of two street cats called Will and Nill as they consider how to best serve their two primary needs – finding food and sleeping! 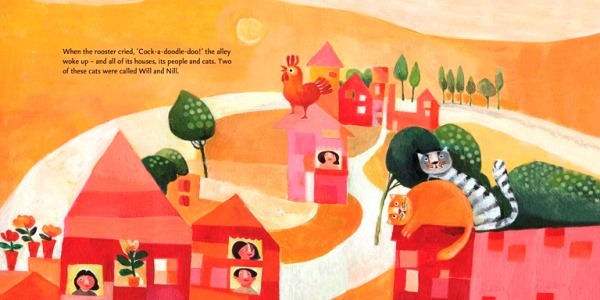 The illustrations in the story perfectly depict the lazy and dusky haze of a blisteringly hot day, and capture the dream-like state that the cats feel if they give in to napping in the stifling sun. Nill decides to give in to the heat of the day from the very first page. Will, however, believes that the best way to distract himself from the hunger and rumbles of his tummy is to play games – and soon ends up playing an unexpected game of hide and seek with a local sparrow! In a lovely twist in the tale, Will’s kindness towards the sparrow soon leads him to some tasty food and a contented sleep – whilst poor Nill’s stomach rumbles still. Told with wit and affection, the story portrays some simple truths whilst also probing the deeper questions – such as whether it is best to accept your days without question or take a different approach to change the course of your fate. 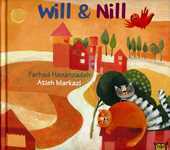 Will & Nill is a great book to look at the characteristics of cats, as well as qualities of human nature. Children will be drawn to the bold and vibrant illustrations, and will be amused at the wry and subtle humour of this friendship between two cats. There is opportunity for extending the learning through analysis of language (“I’m so hungry I could…”) as well as by looking at the deeper themes which are embedded within this tale – of friendship, persistence and how simply having fun can lead us to unexpected and joyful places.